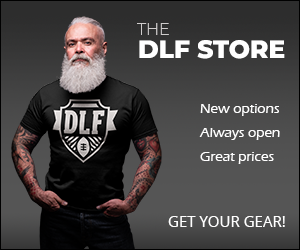 Senior writer and co-host of the DLF Dynasty podcast, the longest running dynasty focused podcast on the planet Creator and Co-host of Dynasty Game night, the fantasy football game show. Creator and host of the Zookeeper Stories podcast. Can the Saints' elite dynasty assets continue to produce for you in 2019? We open up the DLF Mailbag to answer more of your dynasty questions. We answer a pair of questions from the DLF Mailbag. Who are the players you want to love but you are wary of? We answer more questions from the DLF mailbag. We answer a couple of the latest questions in the DLF Mailbag. 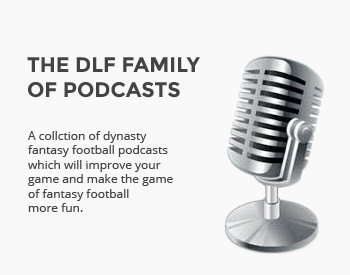 We get to your dynasty questions in this week's DLF Mailbag. In the latest edition of the DLF Mailbag, we cover dynasty trades, keeper picks, and positional value. We open up the mailbag to answer your questions. We conclude our study on the relationship between tight ends and young quarterbacks.